"Previously, if people wanted to deliver RNA with nanoparticles, they might coat the nanoparticles with a polymer or cell-penetrating peptide, an agent to facilitate cell uptake and delivery," Day said. "The problem is that those agents aren't specific. You end up getting gene regulation in all cells, not just the cancer cells you intended to target for gene regulation." That's where the precision of lasers comes in. "Light-triggered siRNA release enables you to silence genes only where the particles and light are combined," Day said. "Since you choose where the light goes, and thus where the siRNA is released, you can achieve very specific gene silencing in tumor cells, reducing the potential for off-target effects." "This is the first time anyone has shown that you can get both siRNA duplexes and single strands of RNA to release from nanoparticles using a continuous wave laser as the excitation source," said Day. "However, our studies also reveal that pulsed light is much more efficient at releasing siRNA duplexes than continuous wave light. It is imperative that primarily duplexes be released from the nanoparticles because only duplexed siRNA will function inside cells to silence expression of the targeted genes." Day continued, "Further, our studies show that pulsed light doesn't heat up cells like continuous wave light does. This is important since too much heat can cause cells to be damaged by mechanisms other than the desired gene regulation." "My lab has a lot of expertise in RNA delivery and cancer biology, so we have a lot more molecular biology skills than a traditional nanotechnology lab might have, and this enables us to study the function of RNA nanocarriers with unprecedented detail," she said. The new insight that Day's research sheds on the use of continuous wave light versus pulsed light for triggered siRNA release from nanoparticles is an important contribution to the field of drug delivery. In addition to demonstrating the functional differences between the two modes of light excitation, the team also showed that siRNA released from nanoparticles upon exposure to pulsed light reduced the expression of the targeted gene (green fluorescent protein) better than a commercially available material often used to deliver siRNA into cells in lab experiments. This was an exciting observation demonstrating the potential impact of this new system. 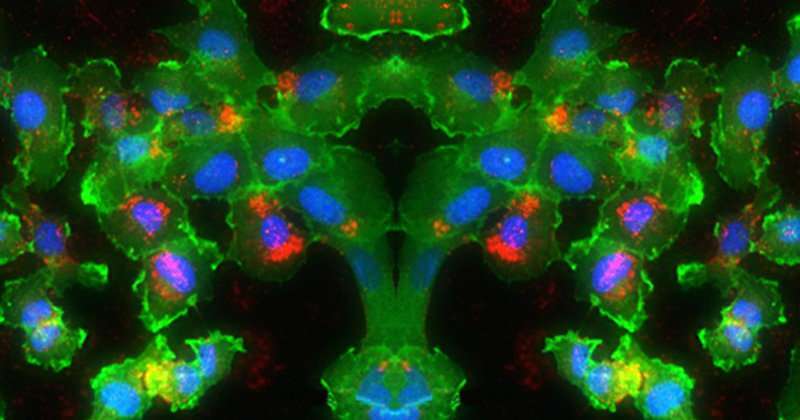 "The next step would be to show that we can do this with a more functional and biologically relevant RNA cargo than the siRNA targeting green fluorescent protein that was used in this work," Day said. "There are a lot of different genes that are known to control cancer growth, so we will deliver RNA that targets genes that we know to be important in tumor progression and see if we are delivering enough to have an impact." The team is particularly interested in studying the delivery of siRNA targeting beta-catenin, which plays an important role in triple-negative breast cancer, and also the delivery of microRNA (which is similar to siRNA, but can regulate multiple genes simultaneously). For example, Day's team hopes to deliver miR-34a, which is considered a master regulator of gene expression in cancer. 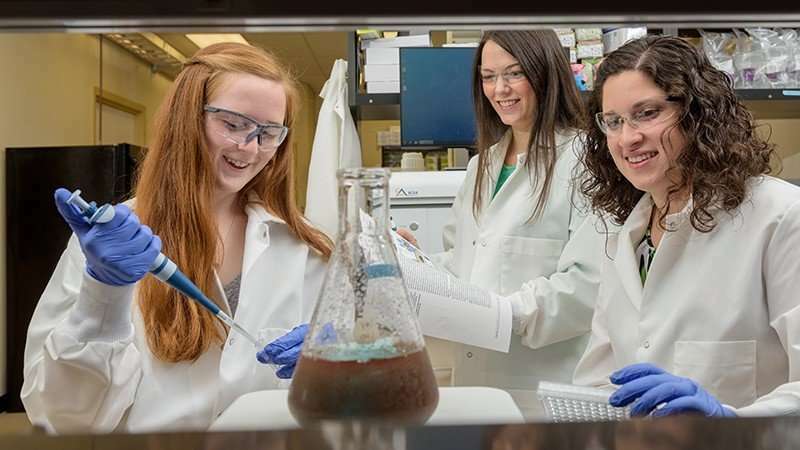 In addition to Day and Gundlach, the paper's authors include Rachel Riley, a doctoral student in the Department of Biomedical Engineering; Megan Dang, a doctoral student in Department of Biomedical Engineering; Maggie Billingsley, a senior undergraduate student in the Department of Biomedical Engineering; Baxter Abraham, a doctoral student in the Department of Chemistry and Biochemistry. "The Day Lab's idea of incorporating nanoparticles for specific delivery of therapeutic agents was a really unique approach," she said. "When interviewing with graduate schools, this experience with The Day Lab was the main thing that helped me stand out in interviews and also understand what I wanted out of graduate school," Billingsley said. "I have had so many opportunities to go down my own path and also work with others on new methods, ideas, and areas of research." "We found some results that conflicted with literature, which was a new experience for me," she said. "That was more exciting that just confirming what was expected."